Say Cheese!! 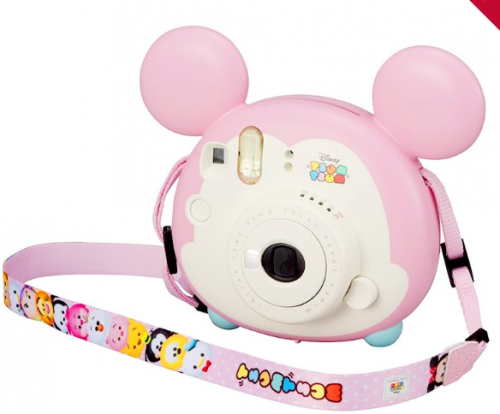 Check out the new Disney Tsum Tsum Instax Mini Camera. It is shaped like Mickey Mouse’s head and is pink and white for a pop of color. 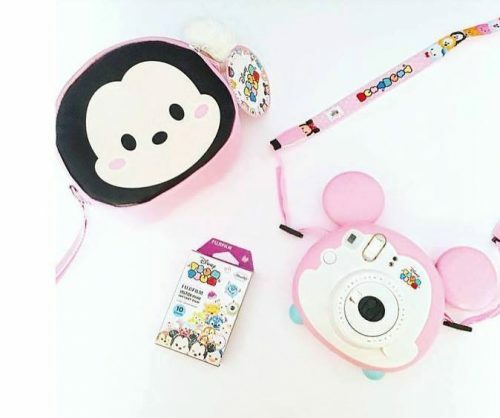 The shoulder strap for instant camera is decorated with many of our favorite Disney friends stacked on top of each other. 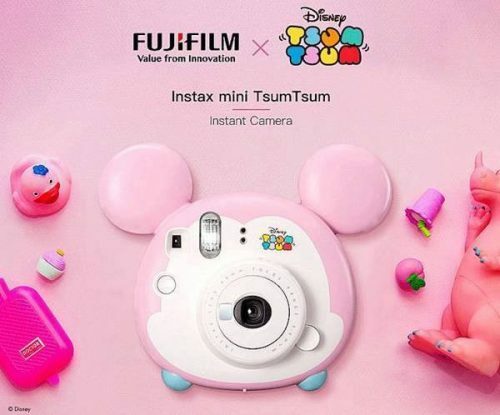 This exclusive picture film has 10 different frames featuring many lovable Disney Tsum Tsum characters. Retail price 10,670yen (HK$736) on JP Disney Online Store.